Sounding It Out: Soundbridges and the Myth of Migrant Inbetweenness in Fatih Akin’s Gegen die Wand (2004). 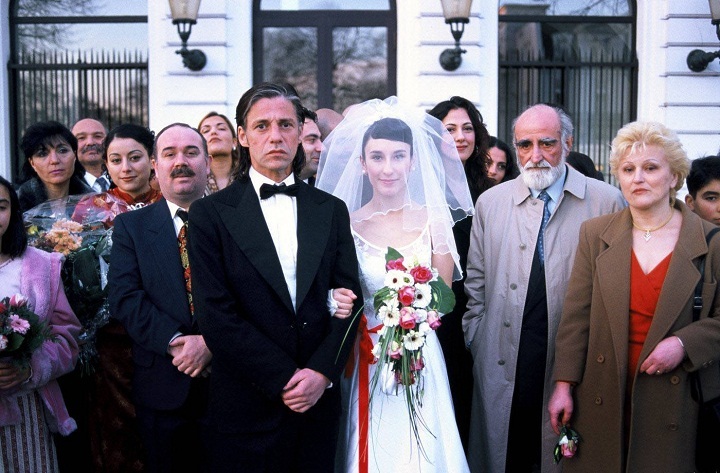 The eclectic soundtrack of Fatih Akin’s 2004 award-winning feature, Gegen die Wand, has inspired numerous scholarly readings focusing on the question of multiculturalism and national affiliation in Europe. In fact, Akin’s own dual identity (German-Turk or Turkish-­German) as well as the ways in which the film shuffles between multiple languages (German, Turkish, and at some brief moment, English) prompts us to read the film’s soundscape as a sort of phonics of multicultural belonging and hybridity. This video ­essay, however, comments on the paradoxical relation between Gegen die Wand’s sound compositional structure and the social/visual world in which the story of expulsion and exclusion unfolds. Akin’s persistent use of sound­bridges to transition between scenes enables a productive opportunity to rethink the claims to in­betweenness in migrant cinema.